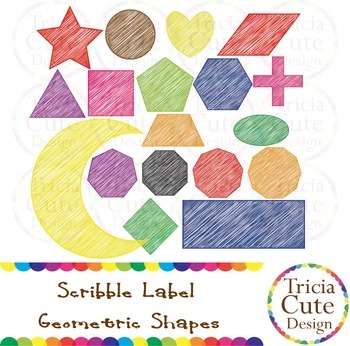 Scribble Geometric Shapes Clip Art! Contained in the zip file are 180 PNG files with transparent background , 300dpi and high resolution. The labels come in 18 different shapes. Each of them has 10 different colors. 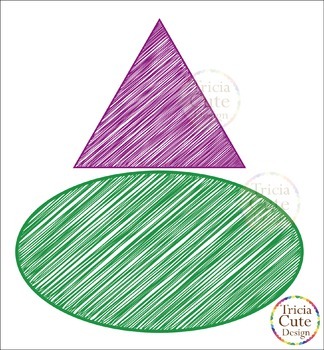 They are great for geometry projects and for decorating your worksheets!! heptagon, octagon, nonagon, decagon, rectangle, rhombus, crescent, cross, triangle. black, red, orange, yellow, green, light green, blue, purple, pink, brown. Note: You may use these files for personal or small commercial purposes, for example, on your TpT products and worksheets. 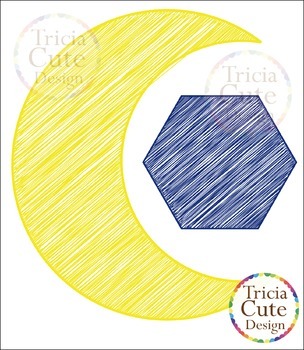 If you use my clip art on your products and make more than 1000 hard copies for commercial use, please contact me to discuss the hard copy license fee. You are not allowed to redistribute or resell the files as they are now. You are not allowed to make modification based on these files to resell or claim as your own work.